The Sunward 48 is in a class by herself. Sailing vessel Serena Rose is a 48' Sparkman and Stephens design number 1674-C1; one of 15 boats built by Sunward Yacht Corp, now known as Bennett Brothers. She is a true sister-ship to Walter Cronkite's Sunward 48, "Wyntje". 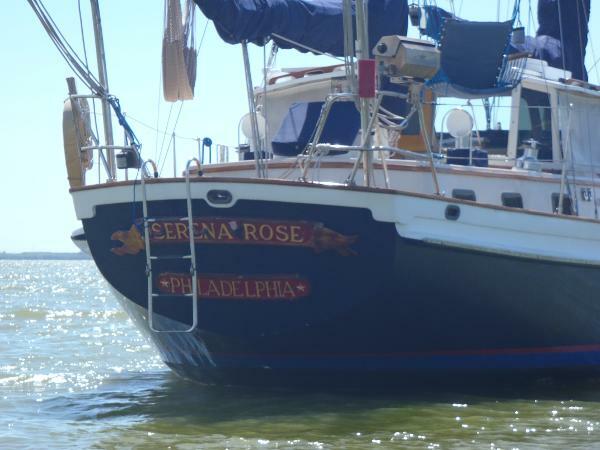 Serena Rose's hull was built in 1986 and after further refinements, she was commissioned in 1992. This vessel has some of the finest hand carved woodwork and joinery ever seen on a boat her size; rich in Honduran Mahogany, Teak, Cherry and Ash. Very unique wooden scrolls and inlays complement stain glass cabinet doors, handcrafted by master craftsman Cabrini. 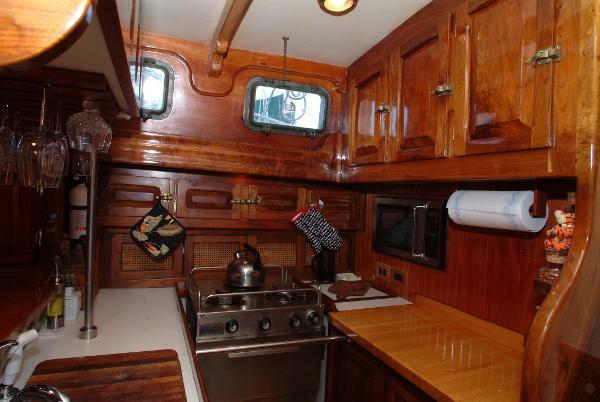 This is a true blue water ketch that is very comfortable as a live-aboard as well as cruising. She has three staterooms and two heads and is outfitted for cruising comfortably. Just some of her appointments and noted upgrades follow. 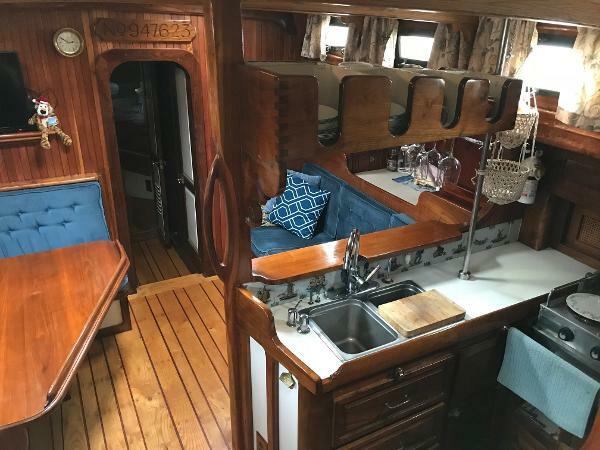 Cutter ketch for maximum versatility in all conditions Safe, secure pilothouse was refurbished in 2017 Solid 3/4" teak decks were completely re-caulked in 2015 Outstanding interior. Truly a work of art that happens to be a very stable blue water cruiser. Amenities like reverse cycle heat and air and generator to keep you comfortable at anchor; Splendide Washer/Dryer, PUR Watermaker...and more. The owners will be cruising the Bahamas this winter, leaving around Thanksgiving from Fort Pierce, Florida. She is very much for sale and can be seen while they cruise, or before they leave. The owners are wonderful record keepers and have a complete manual of all systems and operating procedures in place to pass along to the new owners. I must stress that you will never see a boat like this again. Her pedigree is the best to be had and the joinery and artful care she has had is outstanding.